The voice acting is by far the best, non-professional, I've ever hear. Sup, CybrosX, we played co-op today and you gave me the link to this. The campaign is great, i was wondering if you need a russian translation. I could make one as an act of support for your masterpiece. Cheers. Very Well made! I have only problems that it crashed too many times during the gameplay. In the end of the last mission "Forgotten Whisper" i always crashed when the mission is finish and was unable to see the end cinematic (i don't know if there's one). I hope this will get fix soon. i am Delphinium‘s friend who wants to translate your taldarim campaign into chinese language. As an SC2 player , i enjoy your taldarim campaign very much. It's really a marvelous workpiece! And, as a map designer, i`m interested in your technique of making cinemetics inside a huge starship such as SOA and Taldarim Mothership. Could you please teach me this kind of technique if time permits. Thanks very much. In additon, i am expecting the Mission 6 of taldarim campaign. I have finished the currently released maps. I must say, this was great fun. Another minor issue. On the fifth map, when I move the camera to the expansion to the right I have a massive fps drop for a few seconds. I know that these snow effects can cause that, perhaps there are too many of them there? I am enjoying this campaign immensely. The outro of the first mission was immensely good. On the Terrazine harvest map: You can attack-move your harvesting Probe and it does not stop the gathering. 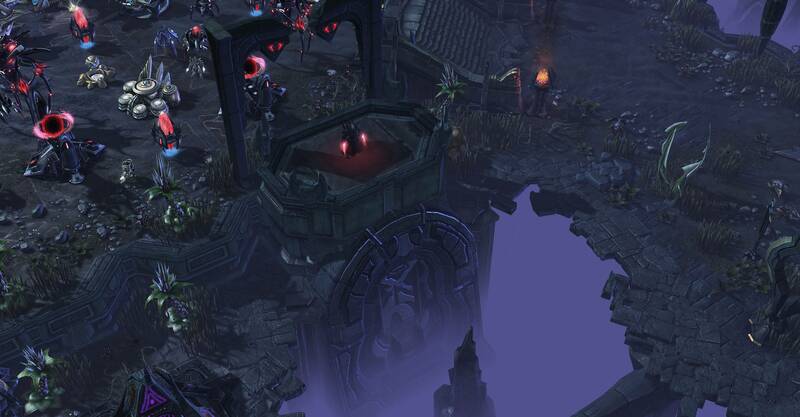 On the Alarak duel map: The expansion to the right is set up in a way so that you can't build your Nexus as close as possible to the minerals. The voice acting is great, shame the english is often broken. Hello! 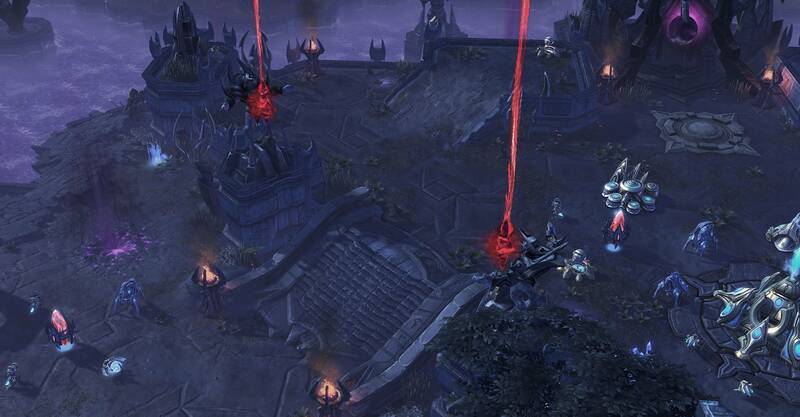 I have a question on the mission temples of the damned you see i won the mission without killng the Hybrid Devastator and now when the cinematic happens it doesn't happen... Alarak warps in then nothing happens at all. do i need to kill the hybrid devastator to make this work? hello CybrosX , i have just finished the campaign and it was enjoyable from the beginning i wish it was longer but i understand that you work alone and it will take time for you to complete these missions and for me to continue with the enjoyment. i liked that i have 2 heroes with distinct abilities , and even i get to be on a tal'darim mothership just like in lotv campaign , i liked that i got to choose upgrades :D and the story is good as well . 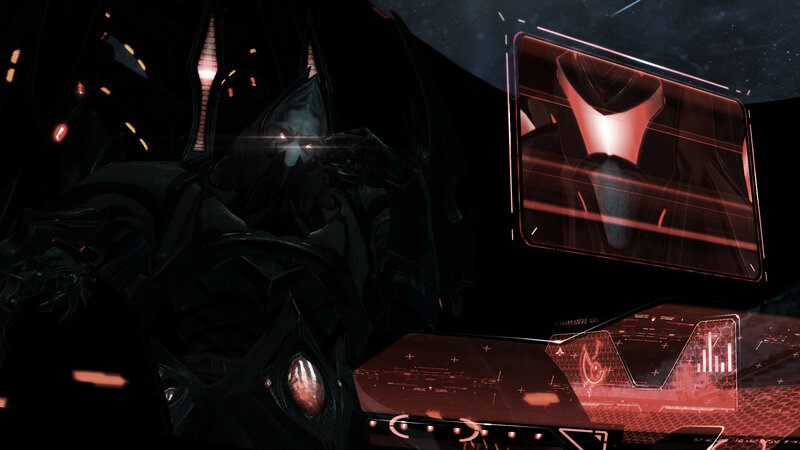 1- in mission 3 (Temple of the Damned) in the ending cutscene alarak's voice got trumped by a stalker's speech "defend our master" (or something like that) so there was an overlap . 2- when i finished the last mission (Forgotten Whisper) , the end cutscene plays and after that it fades to black and my game exits and i get an error message (this is an example of the error that i got > http://up367.siz.co.il/up2/wgni5tumoz0y.png). so i decided to play the mission again and once more i got the same error box , i hope there's a fix to that . 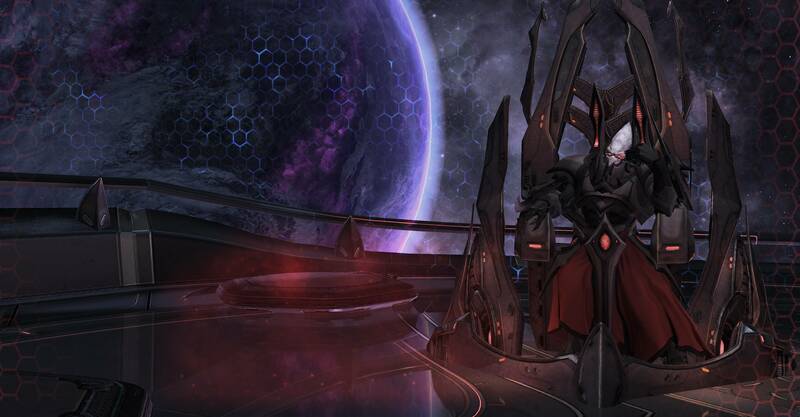 from what i saw on youtube after you finish this mission you will simply be transported to the select mission menu with alarak sitting on his throne . This campaign is amazingly well made. Every time I think it's peaked, it just keeps getting better and better. It now feels almost like an extra campaign made by Blizzard themselves with the inclusions of the cinematics and the upgrade system so similar to the Protoss Legacy of the Void campaign. Keep up the awesome work. Only very small criticism is some of the English isn't 100% spot on but it's a very very minor criticism. Will I need the Full Version of Starcraft 2 or does it work with the Starter Edition as well? - Thank you for allowing me to use the skills of a mothership. I don't have legacy of the void. 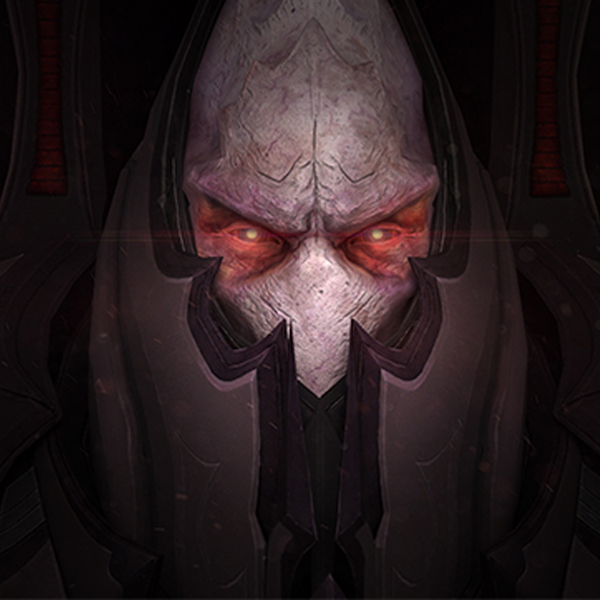 - It's fun to see how Alarak sees the terrans. -The menu button disappears, together with everything else that appears above the units command table. Hey, I just played your Wrath of the Tal'darim campaign and so far it's absolutely amazing! I've played a lot of custom campaign, since I don't play multiplayer, and your's is top notch. 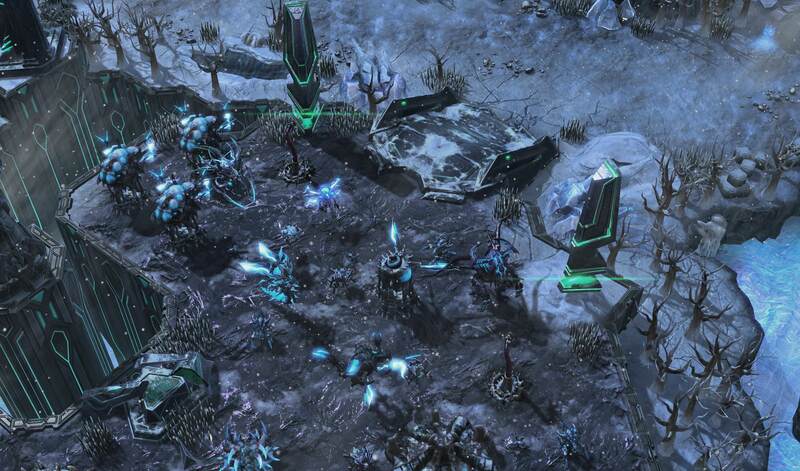 I usually look for Terran campaigns, since they're my favorite faction, but I really enjoyed playing as the Protos in your maps. Keep up the great work! Real quality stuff. I want my campaigns to look like normal campaigns with cutscenes. Hello, I really like your projects including the Unification of Purifiers and others (maybe Evolution of the Swarm). Game mechanics, voice actors, and animation were my favorites. I donated a little bit and hope it can help although it is not so much. I hope that you continue working on making wonderful maps. Thanks!! Hi I just downloaded the game and I left a $5 tip! I was not aware of the donation feature here before but I'd defiantly pay for this type of content! There seems to be a glitch where reapplying chrono on your nexus cancels building Ras_Gul? I'd pay for this as an expansion pack, it felt just like something you'd get from Blizzard, I wish they'd release more solo-campaigns. 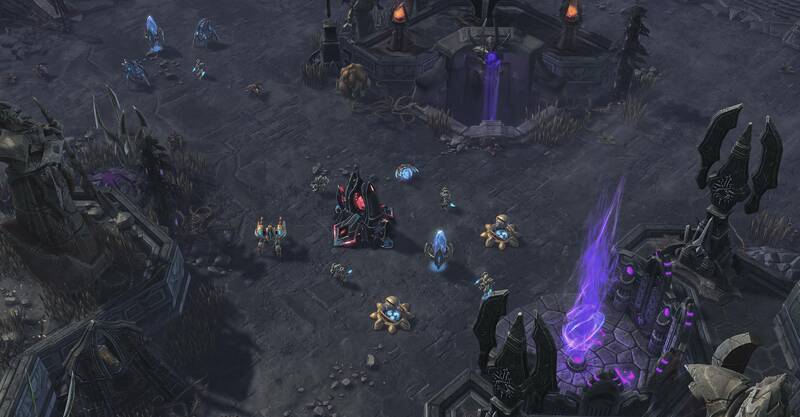 You need to download each map and open with your SC2 editor (you can open the editor via battle.net app or in the instalation folder). After open the map you want to play click in "test map" ( green button in the uper right corner). Just start with the mission 1 map, of course.